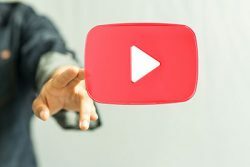 Since YouTube was founded in 2005, it has been transformed from a simple search engine into a website that’s completely personalized and based on user behavior. YouTube has grown through numerous experiments and re-designs by expanding itself into the world of artificial intelligence. But, of all the important achievements that YouTube has made, the evolution of the feed is by far the most noteworthy. When YouTube first became popular, it was essentially a site that offered an easy way to embed videos onto other websites. Initially, the site mass manufactured for all without any flare of personalization and didn’t engage with consumers in a way that would increase views. However, as the site grew and developed, it became a place where you could find viral videos or even clips from your favorite television show. Aside from Wikipedia, YouTube is one of the most visited websites and has become engraved in the new millennial culture. And, as a result, watch time has increased dramatically with the site’s super accurate recommendations. Over time, YouTube has tested multiple methods to increase engagement and drive users to its videos. The company bought professional equipment for creators, completely redesigned their homepage and introduced features like “leanback,” which allows users to queue videos ahead of watching them. Although improvement wasn’t overnight, YouTube finally learned that the number of clicks on a video was less important than how long people spent watching. But how was YouTube able to customize its feed? Using Google Brain, the company has applied machine-learning techniques to find super accurate recommendations for its users. Brain uses an approach known as ‘unsupervised learning,’ where its algorithms can find relationships between different sets of data. It’s able to see patterns for viewers that are not often obvious. The best part is that these behavioral patterns can be deciphered within minutes or hours, when in past years, it took days for a user’s behavior to be incorporated into future recommendations.